Furnaces sit at the core of all branches of manufacture and industry, so it is vital that these are designed and operated safely and effi-ciently. This reference provides all of the furnace theory needed to ensure that this can be executed successfully on an industrial scale. 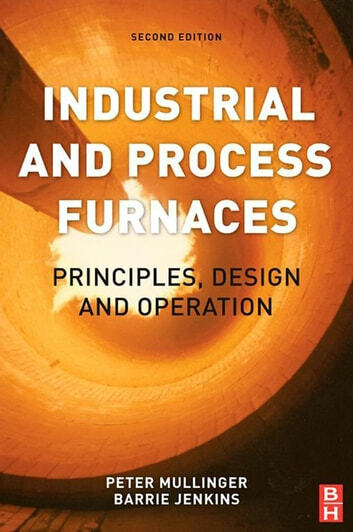 Industrial and Process Furnaces: Principles, 2nd Edition provides comprehensive coverage of all aspects of furnace operation and design, including topics essential for process engineers and operators to better understand furnaces. This includes: the combustion process and its control, furnace fuels, efficiency, burner design and selection, aerodynamics, heat release profiles, furnace atmosphere, safety and emissions. These elements and more are brought together to illustrate how to achieve optimum design and operation, with real-world case studies to showcase their application. Up-to-date and comprehensive reference encompassing not only best practice of operation but the essential elements of furnace theory and design, essential to anyone working with furnaces, ovens and combustion-based systems. More case studies, more worked examples. New material in this second edition includes further application of Computational Fluid Dynamics (CFD), with additional content on flames and burners, costs, efficiencies and future trends.